Want to start a successful blog or just want to share your thoughts and information on the particular subject that you love the most? Then, blogging is a good platform for you! Blogging is not so complicated or expensive. So, anyone can start a blog. There is no limit of age, gender or qualification. So, whether you are 9 or 99, you can create your own blog at any stage of life. You need to have just only the most basic computer skills. 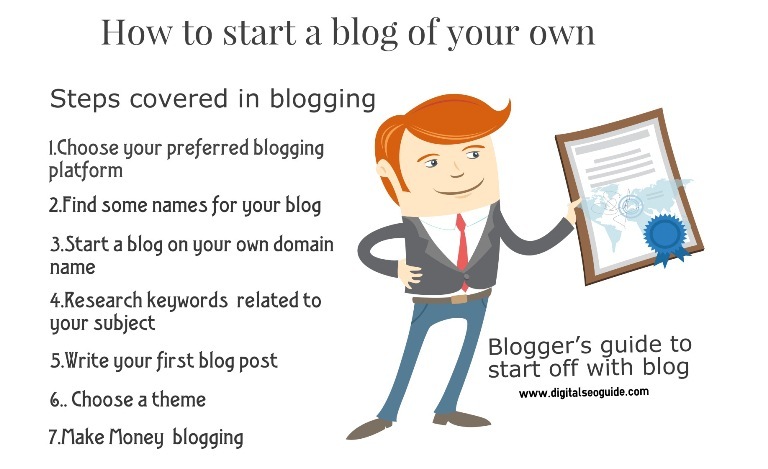 If it is so simple then, start your own blog today. It does not require any technological skill. In fact, more and more people are starting their own blogs every day. Now the time is to choose a topic that you are passionate about. It is about sharing your knowledge with the world. The topics can be anything like cooking, fishing, photography, gaming, politic, gardening etc and beyond. But the thing is which one you love the most or want to share with others. If you are decided on the topic then starting a blog is much easier. When you are starting a blog you may make lots of mistakes, but don’t ashamed of it and try to learn from it. More the experience is, less will be the mistake. Once you are established as a blogger, you will find yourself a better writer and thinker. In this way, people can establish themselves as experts in the particular field. Blogging is a platform which opens the door to communicating with others around the world who understand your language and have the same passion. If someone who loves to teach, then blogging is a good platform for people with teaching profession who have an interest in your areas of expertise. Blogging gives you the opportunity to share your ideas and thoughts with everyone – including those who are expert and those, who are new. Through blogging, you can not only teach others but you will also learn from others about the topic. Although there are so many blogs on one topic, if you are starting out, you need to have a unique voice of your own. You need to have a USP. Write on topics which are already covered, but be different in your presentation. The more unique your way of presentation, more visitors and revenue you earn. Choose where you want to build your blog. There are many options like WordPress, Blogspot etc. WordPress is the most popular platform than others. You can make the domain name on wordpress.com and wordpress.org. There is a difference between wordpress.com and wodpress.org. The former is free but it restricts blogger from making an income and the latter is self-hosted and it allows full access to your blog. There are more than 82 million active users of WordPress. You may find other alternatives also. How to Choose the Best Blogging Platform in 2017? Choosing your blog name can be one of the most difficult yet important parts of starting your blog. 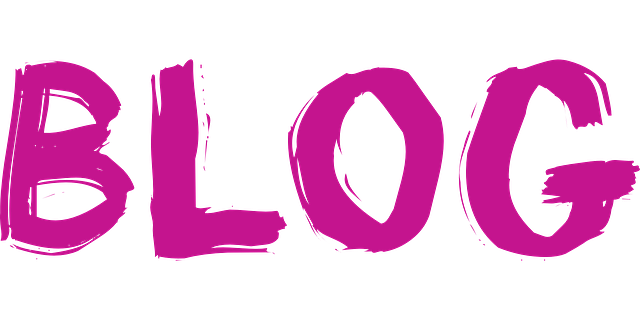 You will need to select the blog name carefully so that your target audience will be able to remember it. Try to decide a name which elaborates your blog successfully as possible. Find some extraordinary name for your blog which will differentiate you from others. How to select the best profitable niche? How to Perform Niche selection? The domain is basically the URL of your website like google.com, facebook.com etc. Domain name is an identification of an organization or an entity on the internet. It is an easy way to remember internet address, which is translated into its numeric address by the domain name system. Pick up the keywords which your audience usually key in. Write these keywords in your blog post. Be thoughtful and precise. Try to make a plethora of keywords, and then carefully start writing content using these. The art of carefully presenting your keywords depends on how you understand your topic and how you use the keywords. If you properly use keywords, it helps your blog to rank well. However, if you are overusing the keywords without bringing a thoughtful balance between content and their number of users, the search engine can penalize you. So, be decisive and selective about your use of keywords. Research your keywords, and use them but maintain a professional tone. How to do your keyword research smartly? Writing the first blog post is always tough, especially if you are new to blogging world. It takes time, effort to think about the first topic and then carefully write about it in a way that it appeals to your audience. You can change the theme and layout of your blog based on the CMS you work. Always choose a theme that tells your audience who you are. Be selective yet thoughtful. Be as much interesting as you can. A neat, simple and professional blogging design is the call of the day, and it separates you from the competition. Some people blog just for a hobby. But most do blogging for earning money. Once your blog is setup, you need to start working on monetization. There are a great variety of ways to add money to your blog from advertisements, from affiliates, from Google Adwords etc. We have covered a number of articles about the topic. If you are also looking for the best hosting service providers Bluehost review, SiteGround review, Godaddy, Inmotion hosting review, A2 Hosting review, 1and1 hosting review to find the right hosting company for your needs.